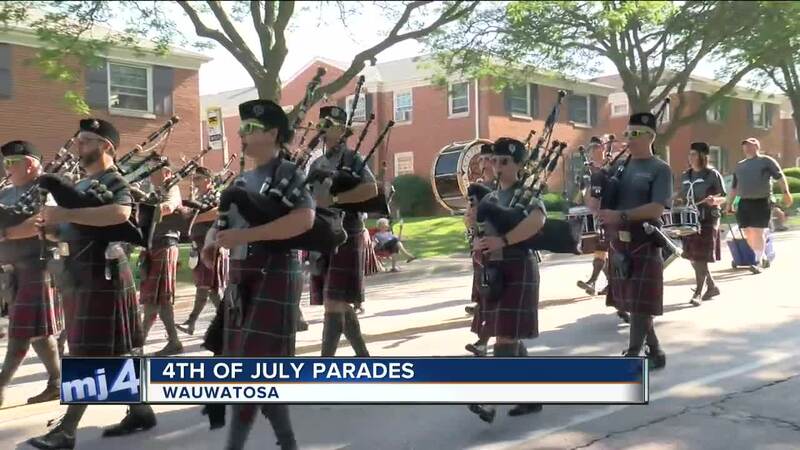 WAUWATOSA -- Touted as one of the largest Independence Day parades in the state —Wauwatosa sure knows how to put on a show. With more one-hundred floats and participants —including TODAY'S TMJ4's own Tom Durian, and about 25,000 thousand spectators, Governor Walker and many others say this parade and the city of 'Tosa itself is all about community. "[It's all about] community and fun things like this," Governor Walker said. “We raised our kids here [because] part of what we loved was [the] great schools, great community sense, a lot of folks coming together." The 'very 'Tosa' fun doesn't just end with the parade and its theme. The fun and excitement will continue throughout the day with family fun at Hart Park beginning at 4:00 pm, and the fireworks spectacular slated for 9:15 pm.